I recently had a chance to see our new HC. Feels like it should…. As a lifelong Husker fan I’ve watch along with all of the rest of you a once proud program search like a lost puppy to find home. To somehow find it’s identity in the current plane of college football. Nebraska football has a foundation built on tough, physical football. That foundation took many hits over the years. With the hiring of Scott Frost the link between the past and present happened in an instant. 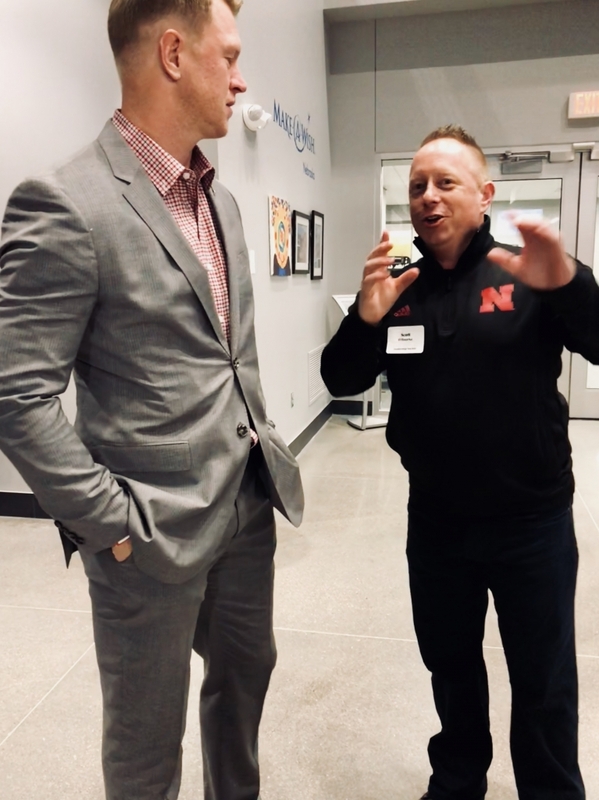 That foundation was fortified.I recently had the opportunity to attend a Signing Day event at the Nebraska Truck Center in Omaha. 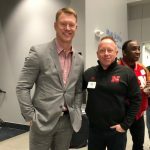 There were a number of Husker legends on hand to greet Frost. I’ve been to many high level Husker events over the years. This one felt like it used to. It felt right. It felt like family. For so many years the Husker administration tried and tried to make it feel this way. Almost forced it at times. This was a family reunion. The one that wasn’t awkward. This one had the good chicken and the right potato salad. So let me be the next to say I’m thankful for Bill Moos. And I’m thankful for Scott Frost. And in the brief conversation I had with him it felt right. He preaches patience. In my opinion results on the field may take patience. But there has been an immediate impact on the culture of Husker football. You will see a ripple effect from that instantly. Here’s to our Husker family. GBR.